I couldn’t help but laugh the other day as I was watching a commercial about a cleaning liquid. A beautiful young mummy, perfectly dressed and coiffed enthusiastically cleans her kitchen. With a mop in her hand, and a bottle of neon green, improved-formula anti-bacterial detergent in the other, she glides her mop on the kitchen floor. A glistening streak of germ free-cleanliness instantly appears transforming her dull kitchen into a wonderland of cascading blooms and rays of sunshine. Her floor is radiant; her smile is radiant and her little ones, observing gleefully, radiate health and good nature. She is a domestic goddess, crowned by her good choice in detergents. She is the champion of her family’s well-being and happiness through her floral-scented wisdom. She is the mother that we all strive to be…We’ve all seen the commercials, time and time again. Yet, what are they really telling us? The messages are clear: chemical detergents are our allies in keeping our families healthy and successful. We can elevate our status from average mother to wonderful mother by how clean and sterile our homes are. Supermarket shelves are packed with hundreds of bottles of detergents that promise us health. Why then are we seeing an “allergy and autoimmune epidemic” in developed societies? If our homes are so clean, why are we getting so sick? Think of it: by cleaning and sanitising our homes through chemicals we are effectively creating sterile environments where good microbes which stimulate our immune systems are eradicated while also loading our indoor environment with toxic fumes and residues. This is where our children live, eat, sleep and play…every day. We are effectively achieving the opposite of what we set out to do. 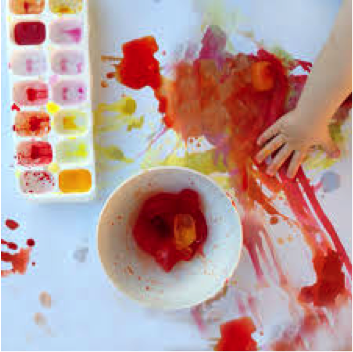 The other day, I was reading about the “Hygiene Hypothesis” which in measure explains that the increase in asthma and autoimmune diseases may be due to sterile home environments that do not offer enough diversity in germs needed to stimulate and educate developing immune systems. Studies within certain farming communities in the Unites States reveal some startling results. Living very traditional ways of life, they shun the comforts and products of developed societies. They are daily exposed to animals and live a very natural life that is close to the land. Interestingly, they have dramatically lower incidents of asthma and autoimmune diseases within their communities. 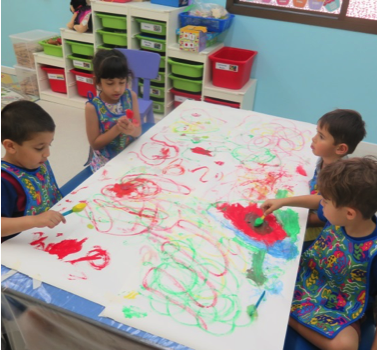 As a nursery in Dubai with so many children present we have to make sure that the environment is clean but not sterile. Kid’s Island and Cocoon nursery are eco-friendly where the importance of cleanliness is obvious. Clean environments, whether school or home, should not mean sterile chemical zones but ones where the environment, children, parents and staff members are respected. The use of ENJO microfibers, “Baby Air” air purifiers, pure soap and essential oils have been our mainstay for years now and part of our core values and ethos. Come see us in the office for more ideas of chemical-free cleaning.